Served as a commissary in Academic Hospitals of London (St.Thomas, Guy’s, UCLH, Middlesex, Royal London and Royal Free) and acquired further specialisation in America, with Dr. Sherell Aston in New York, Dr. Sam Hamra in Dallas Texas, Dr. Julie Terzis in Virginia, and in Europe with Dr. Thierry Besins in Paris, Dr.Frank Trepsat in Lyon, and Dr. Patrick Tonnard in Belgium. in the field of cosmetic surgery and, in particular, in cosmetic surgery in the area of the face, known as facelift, rhinoplastic surgery, breast and silhouette surgery. 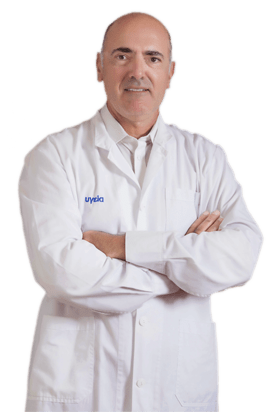 Published a lot of scientific papers and gives lectures and courses for the various techniques of Plastic Surgery. The Press is regularly consulting him for the new techniques of his speciality. He was educated in General Surgery in the Hospital “Sotiria”, and is alumnus of the Medical School of Athens and Moraiti Faculty.